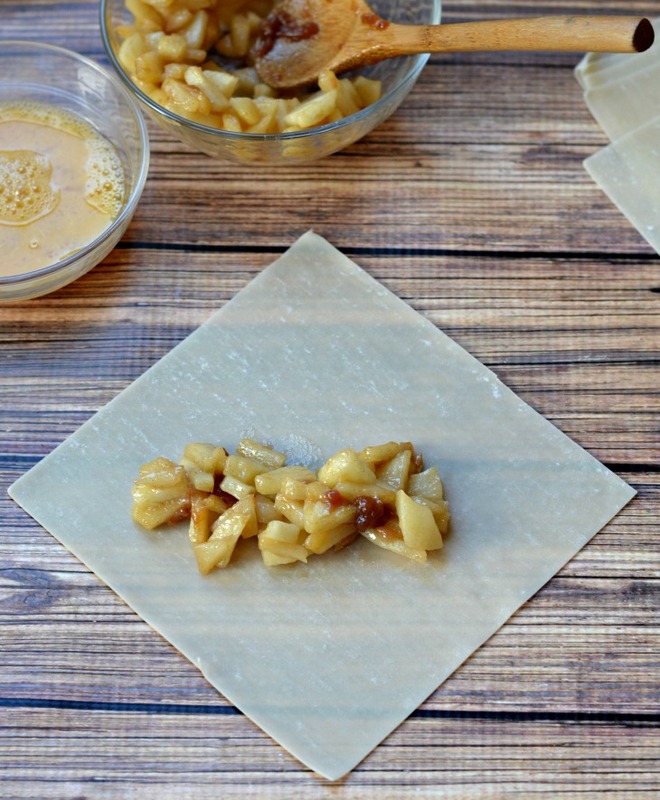 Caramel apple pie egg rolls are fun, innovative way to treat your family to a fall dessert. Just wrap apple pie filling in a wonton wrapper and flash fry on the stove. Serve warm with caramel sauce. 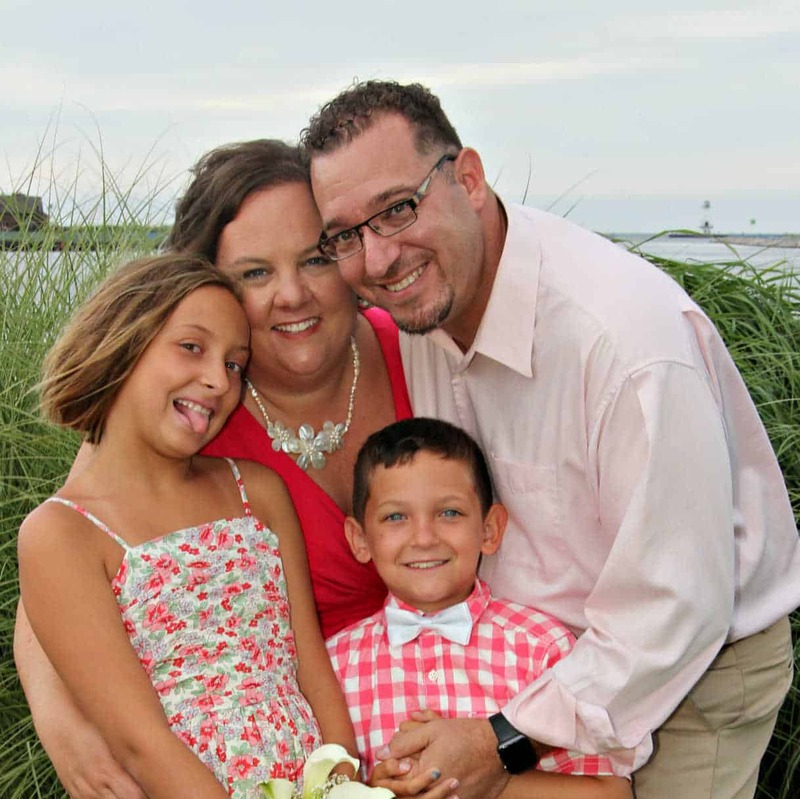 My family loves Chinese take out and my husband and I ate it weekly when we were dating. I've always loved making Chinese food at home but was always afraid of trying to make egg rolls. Then my friend, who is half Vietnamese, mentioned that she was making egg rolls for dinner. I convinced her to teach me how to make egg rolls and I spent an afternoon in her kitchen learning the finer art of making egg rolls. I enjoy spending time in the kitchen with friends and learning new recipes. 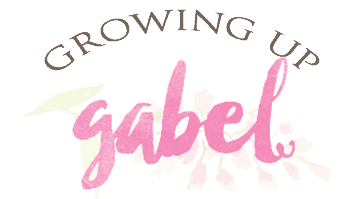 Not only do I learn a new skill, but I also love the face to face time I get to spend with a friend learning about her family and background. 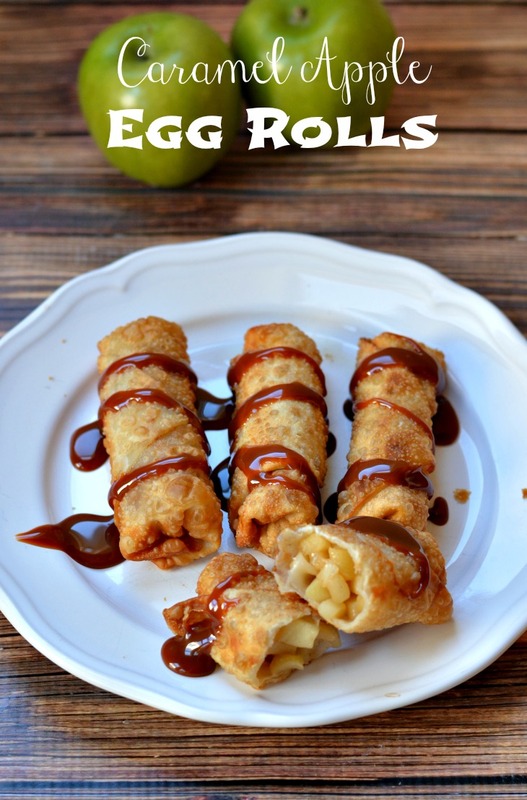 You have a lot of time to chat while rolling egg rolls so these are a great way to spend some quality time with family and friends. 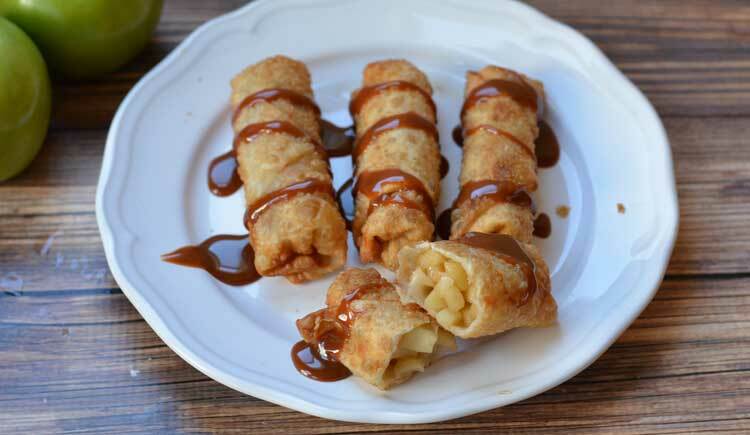 The fun part of dessert egg rolls is that you can pretty much fill them with anything you want. My friend loves egg rolls filled with lots of meat so that's what she taught me to cook. I decided to take egg rolls one step further and make them for dessert. 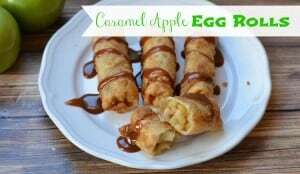 Because it's fall, I decided to make a caramel apple egg roll. I made my own apple filling, but a canned filling would work, too. Learning to egg rolls can be a bit frustrating at first. You will probably go through a lot of egg roll wrappers. Just be patient and keep trying. Turn the wrapper so it's a diamond shape facing you. Place the apple filling just below the midway point. 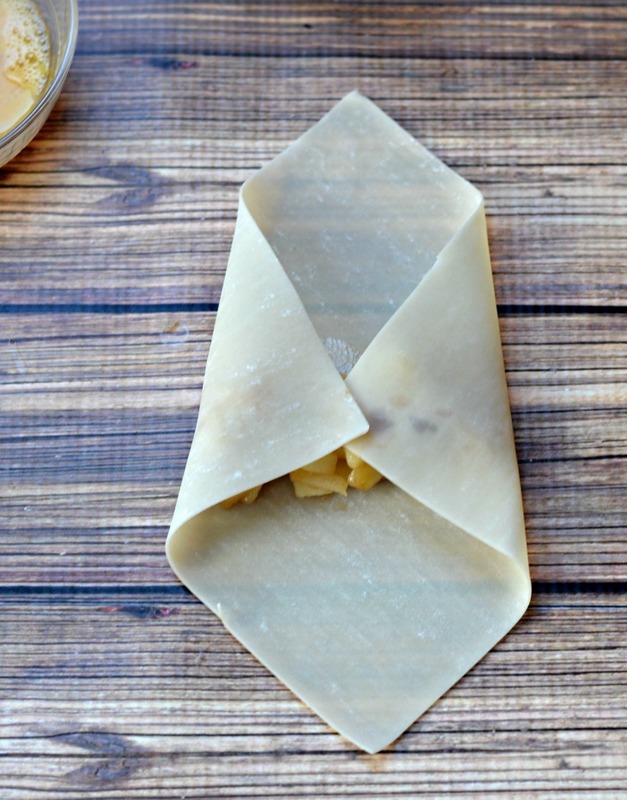 Next, fold the sides over and overlap just a bit. You can also start with the top/bottom if you prefer. Then fold the bottom point up over the sides so you have a little envelope. 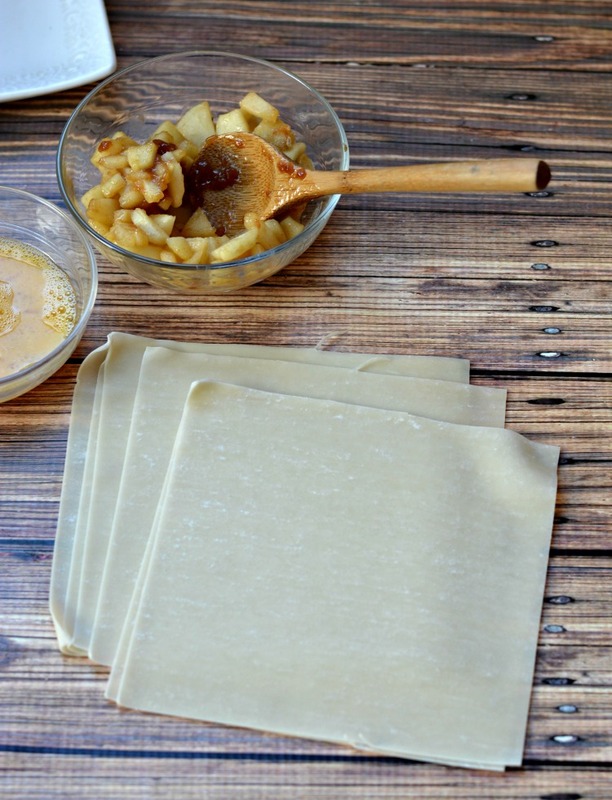 Roll up gently, keeping the roll tight, and use a bit of egg wash to help keep the egg roll closed. Once you get the hang of it, making the egg rolls is pretty quick. Just keep a towel over them so they don't dry out. Once all the egg rolls are rolled, heat a large pan with a neutral high heat oil on high heat. Coconut oil works great. Fry the egg rolls in about 1″ of hot oil for 2-3 minutes, flipping over half-way through to cook both sides. 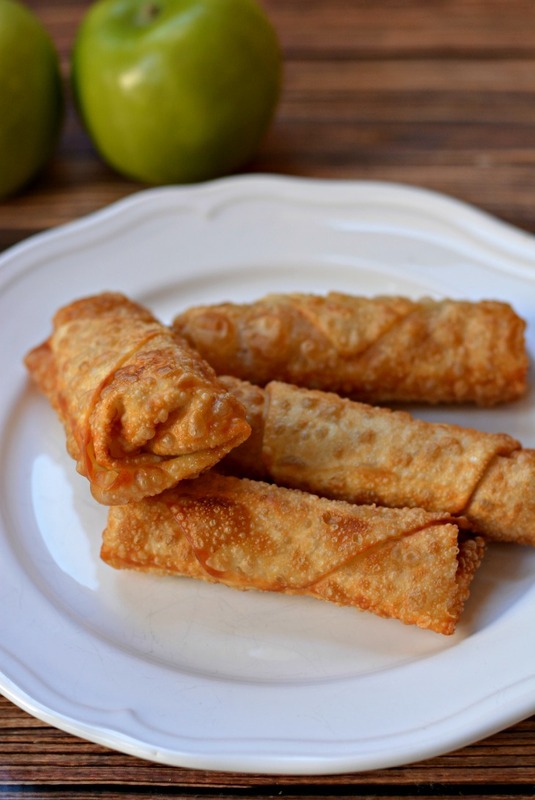 When golden and crisp, remove the apple pie egg rolls onto a paper towel lined plate. Continue to fry until all the egg rolls are cooked. Serve with a drizzle of caramel sauce and a little on the side for dipping. Melt butter in small sauce pan over medium heat. 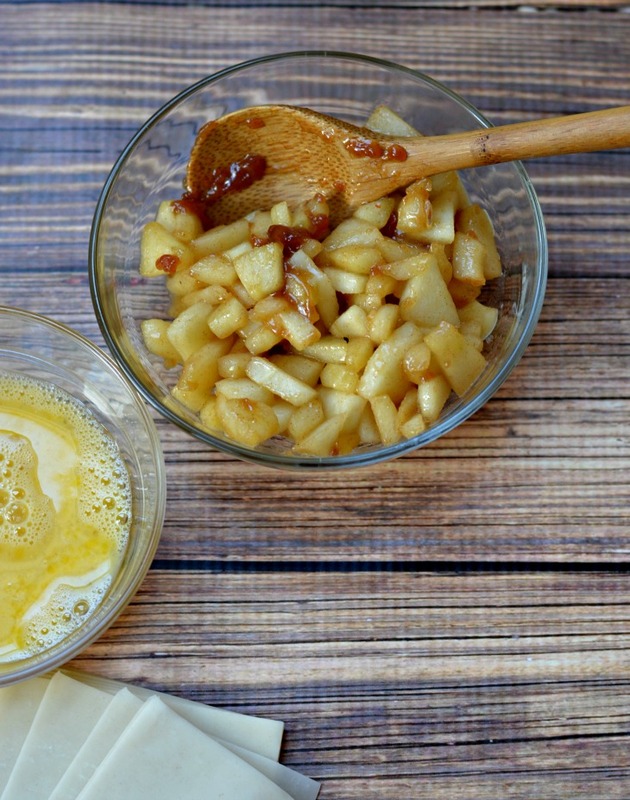 Add apples, cinnamon and sugar - adding as much or as little cinnamon and sugar as you like to taste. Cook the apples until they are soft about 5-10 minutes. Set aside to cool. 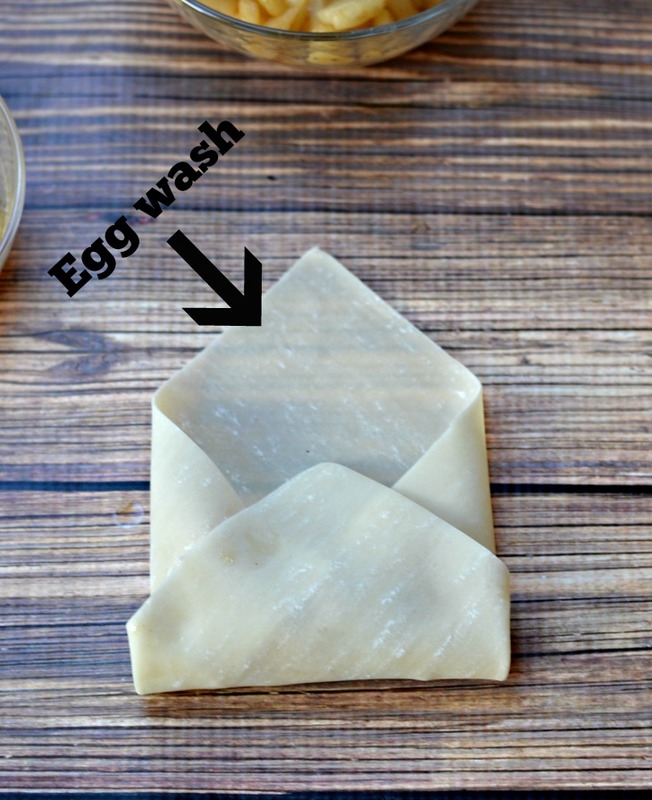 Lay out egg roll wrappers so they look like a diamond. Spoon about 1-2 Tablespoons of apple pie mixture on to the egg roll wrapper just slightly below the mid point. Bring the bottom point of the diamond up and lay it over the apple pie mixture. Fold in the sides like an envelope. Put a small amount of the egg on the top point of the diamond. Gently roll the egg roll wrapper up towards the top point and secure the point with the egg. Repeat until all of the apple pie mix is used up. Heat about 1-2" of oil in a deep pot on high heat until the oil is hot. Fry the egg rolls until the egg roll wrappers are crisp. Depending on the heat of the oil, this will take just a few minutes. Roll the egg rolls over half-way through to cook both sides. 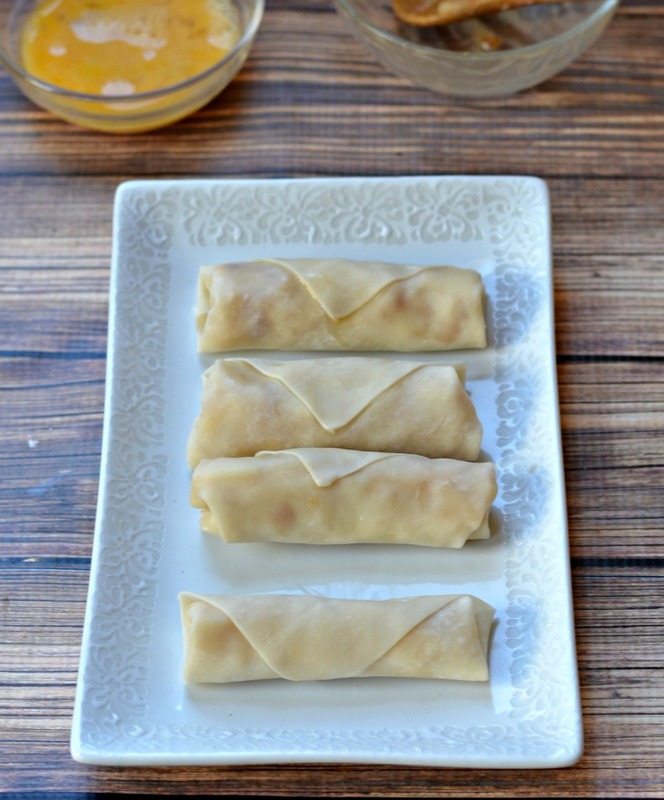 Remove egg rolls to a paper towel lined plate. Serve hot or cold.